A Kid Friendly Kings Cake for Mardi Gras! A kid friendly Mardi Gras? You bet! Make this too-easy King’s Cake with your kiddos, and you’ll have a Fat Tuesday celebration the whole family will enjoy. I know I’m late getting this up, but trust me-you can pull this off in minutes. It’s supposed to resemble the glittery crown of a king. Wikipedia has an entry on king cake if you want to know more. This recipe is from my cyber friend Jennifer, of Pensacola, Florida’s favorite family blog, Pensacola for Kids, and you can see the whole recipe at her site. Hint: The base is premade cinnamon rolls. Clever, huh? Many times a small trinket is hidden inside of the cake, and the finder gets special privileges for the day. Jennifer didn’t do this because she was concerned about chocking hazard potential. I’ll let you decide if you can think of a way around that. Btw, I know I’m mish-mashing religious and secular customs here, but if by any chance you’re giving up Facebook for Lent, do make sure you’re following SFM some other way! I suggest bookmarking the site and checking it eleventeenhundred times a day, but the emails are also good! Let’s Make Tin Can Ice Cream! In honor of our warm weather, I thought I’d share this homemade treat. For more fun, scroll down for posts with updates on Tacoma’s spraygrounds, and my list of favorite area beach outings. We also have a list of parks with shade here at the Facebook page. About a thousand years ago, I spent many happy summers working as a camp counselor and unit coordinator. Tin can ice cream was a favorite treat. Ingredients: 1 cup milk (This makes ice milk. If you want true ice cream use cream. Duh, I know). If your family celebrates Easter, there is a good chance you’ve got some extra ham hanging around. Here is the BEST recipe to use it up. My food photography still leaves a lot to be desired, but I promise this is sooooo good. Readers raved about it last year. Plus, like all the recipes I share, it’s super simple. I’d love to hear what you think, too! A Special Weeknight Recipe: Leprechaun Potatoes! Need a quick and easy St.Patrick’s Day recipe that’s healthier than green cupcakes? Here’s your solution! These potatoes are super simple, and you can serve them along side practically anything, so they’re a great solution if you want to be festive, but you aren’t a fan of corned beef. I also love that they get their green from peas instead of food coloring-a nice, nutritional boost! This recipe comes to you courtesy of Michele Erdvig, a certified Ireland expert-who better? I’ve noted the adaptions I made, which were minimal. Put potatoes in a pot and cover with cold water. Bring to a boil. Reduce heat to medium low and cook for about 15 minutes or till tender. Steam or cook peas till just tender. SFM Note-We just partially thawed the bag. Do not overcook peas or the color won’t look right. ©Michele Erdvig 2010 Used with permission You can see the original of Michele’s recipe and a mouth watering picture too, right here. She’s an Ireland tourism expert, so feel free to give her site a browse if you’re dreaming of a trip to the Emerald Isle today! On a chilly day like today (and the last/next 100 days…) I love a hearty bowl of soup. This one is our new favorite. It was inspired by leftover potato bar fixings from a church dinner and a great deal on bacon at Albertson’s. I knew it was a winner when Henry declared it, “Actually not awful,” and the oldest, who normally exists on a diet of air, water, and junk food gleaned at school, finished his bowl and asked for seconds. I think you’ll love it, too! The original recipe is here. My version eliminates the sour cream in favor of a thicker roux, more cheese (Mmmm….cheese), and real butter. I also leave the skins on the potatoes, which I think adds flavor. The real secret, though, is to use high quality bacon. Want a totally delish holiday meal that will get you out of the kitchen and actually enjoying the fun with the family? I’ve got one that’s totally do-able, and no-it doesn’t involve a call to the pizza place! It’s a cranberry pork roast that’s full of, “Mmm….holidays!” flavor, and the whole thing cooks up in your slow cooker. Note that this recipe makes two of the pork loins that typically come in a package-about 2 lbs. total. You can easily adjust it, and leftovers are great shredded in sandwiches! 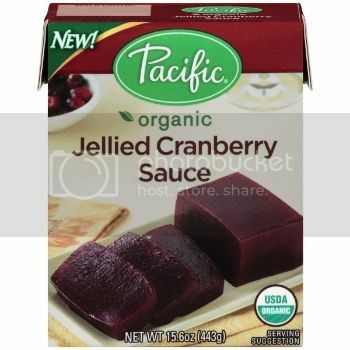 I made it with Pacific Foods Organic Jellied Cranberry Sauce, one of several products we got to sample. They come in cartons, and if you haven’t given them a try you really should step away from the cans and check them out. They’re packed in Tetra Pak cartons, which are great for the planet because they are made of 70% paper, a renewable resource, from selectively harvested, re-grown trees that are FSC-certified (Forest Stewardship Council) . 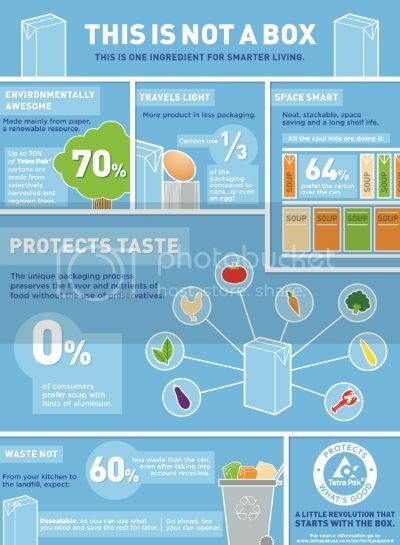 Plus, cartons use 1/3 of the packaging compared to cans…or even an egg! You can also recycle them, and they result in 60% fewer landfill waste than cans. Love it! I also loved being able to open them without having to dig around for the can opener, and I love the idea of fewer clunky cans in the cupboard. Plus, they’re re-closable, so you don’t have to waste food or try to find the plastic wrap or the lid to your containers (Are you seeing a theme here)? 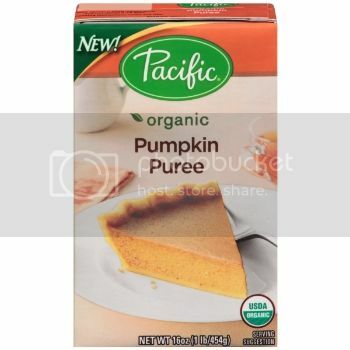 Best of all, the unique packaging process preserves the flavor and nutrients of food without the use of preservatives, so that product quality is exactly the way it was intended to be. You know how canned products sometimes have a tinny taste? 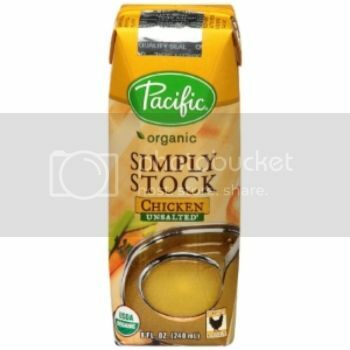 Yeah….not a bit of that with any of the Pacific Foods products we tried. On to the recipe….a totally delicious cranberry pork loin I made using Pacific Foods cranberry sauce! Rinse and pat dry the pork loin and place it in your slow cooker. Dump over the pork. Cover and cook on low for 5 or 6 hours, depending on your cooker (mine goes fast). Remove the pork and keep warm. Add cornstarch to the sauce to thicken as desired. As with most slow cooker recipes, you can easily adjust the ingredients depending on how much sweetness you like, and how much sauce you want to have! Just don’t try to substitute for the pineapple juice-it’s the key! Serve the pork with additional sauce (it’s also nice over potatoes). If you give this a try, I’d love to know how you liked it! I hope you’ll join me in thinking #CartonSmart this season. It’s a small change that can make a big difference! Easy Weeknight Recipes With Pillsbury Biscuits! We’re definitely in the school day routine again over here. For us, that means homework, soccer practice, Boy Scouts, and a lot of crazy, rushed dinners. Can crazy be a routine? Hmmm…. Naturally, I was thrilled to get to try an easy recipe made with Grands! biscuits from Pillsbury. My boys love Grands! biscuits, and I’ve been desperate for quick, weeknight recipes. Seriously, you know you’ve been doing too much takeout when you’re thinking of wearing a disguise to the pizza place! We decided to try the Easy Taco Melts. Now, I’m going to try not to get carried away here, but these were something of a Wednesday miracle! I had them on the table in 20 minutes, and they were really, really good-like the ten year old ate his whole dinner and said something nice about it good! The biscuit also made it neat to eat. My husband tucked one in his lunch box to take to work, and I think if you were careful about the filling, you could even eat these on the go! If you’d like to try them, here is the recipe for Grands! Easy Taco Melts. The only change I made was using ground turkey in place of the beef. It would also be easy to sneak some more veggies in the filling. We’re already looking forward to trying one of the other Grands! recipes. You can download a whole, free booklet of them right here!